As the owner of "Zahntechnik Klingner" with ten employees, it is important for me to remain innovative and to keep all technicians and customers on board. As such, we can look back on 13 years of CAD/CAM-supported fabrication. 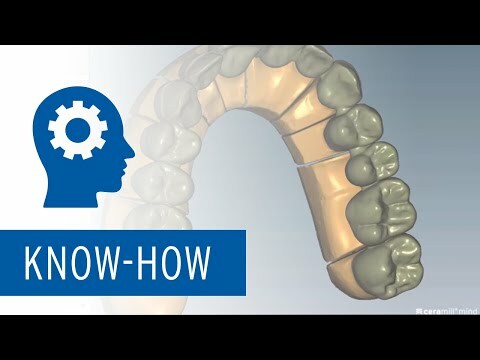 This technology supports us in numerous areas, from crown and bridge technology to telescopic and bar work (see first image above) to splint therapy and full dentures. 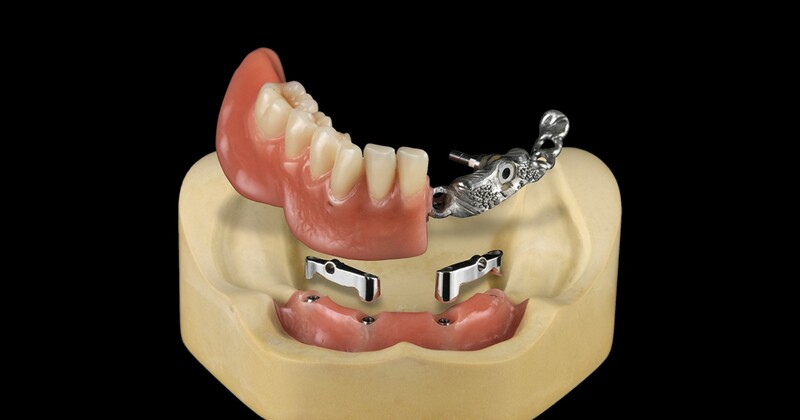 In November 2012, we opted for the Ceramill Sintron sintering metal, which had just been launched on the market. Being the first material of its kind, there existed neither many years of experience in the laboratory nor were there comparable materials in terms of processing. However, the possibility of processing CoCr alloys computer-aided, in-house and with our existing milling machines was extremely interesting. So we became "users of the first hour". At the time of the market launch, designs up to a maximum length of 5 cm were approved. And despite the still limited range of indications, no one wanted to opt for casting any more at that time. Instead, we received more and more orders for milling, also from other laboratories and even from non-industry sectors. For us it was extremely exciting to cooperate closely with Amann Girrbach's developers on the implementation of this wide-span restoration. With the introduction of the Ceramill Evolution Kit, the Float Sintering Disc and the adaptation of the software for variable sintering stabilizers, the sintering of large-span works became reproducible (see 2nd image above). However, really large structures still had to be separated as there was not enough space in the sintering bowl. Our desire for a larger and more stable sintering bowl turned reality after the IDS 2017 with the introduction of the Ceramill Argovent 2. With the Argovent 2, the sintering time as well as argon gas consumption were reduced. Even after meanwhile about 200 sintering processes, the sintering compartment shows no signs of wear due to the new materials. Owner of the laboratory Zahntechnik Klingner in Arnsdorf, Germany.